As Augsburg’s new executive director for recovery advancement, Patrice Salmeri will work to reduce stigma associated with substance use disorder recovery, inspire additional universities to provide recovery programs, and work with StepUP Program alumni, among other duties. Salmeri has led Augsburg’s pioneering StepUP Program for the past 15 years, and Recovery Campus magazine featured Salmeri in a story about the transition to her new role and the current climate of recovery in higher education. 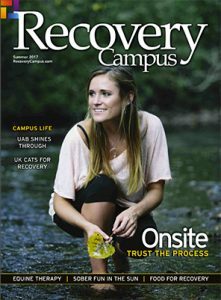 Read more about Salmeri’s areas of focus on the Recovery Campus website.